If you were to characterize Tarrant Construction you might say they’re not too big and they’re not too small, perhaps they’re just the right size, although they don’t seem to be stuck in a comfort zone. “We’re trying to get more commercial work,” says Mike Tarrant, Executive Secretary and Estimator for Tarrant Construction, which is located in San Rafael. Tarrant says that although commercial jobs make up only 20% of their job sites, commercial work is 35% of their gross profit. 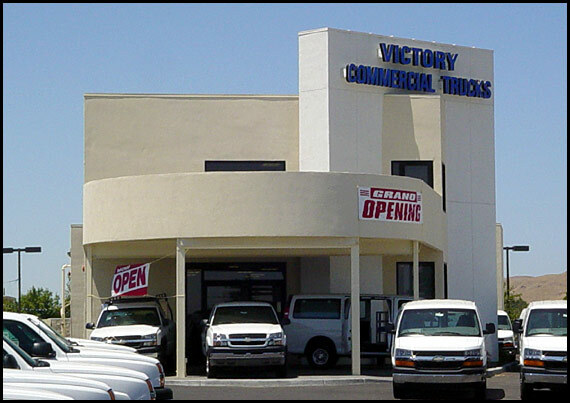 A good example of Tarrant Construction’s commercial capability is the two masonry buildings they constructed for Victory Chevrolet in Petaluma, the truck showroom and the truck detailing building that were completed last January. The truck showroom is a two-story building with a mezzanine that also houses the truck sales offices. Tarrant Construction hired LeDuc & Dexter’s commercial department to complete the plumbing for both buildings including bathrooms for each structure. “LeDuc & Dexter were fine to work with, they were timely and they kept it simple,” says Tarrant. LeDuc & Dexter’s residential department is also working with Tarrant Construction on a remodeling job in Petaluma. LeDuc & Dexter’s main focus on that home is the kitchen remodel including upgraded plumbing fixtures. Insurance reconstruction accounts for a portion of Tarrant’s residential work, they are a Diamond Certified company, and Mike Tarrant says the niche they seek in residential projects range in price from $50,000 up to $2,000,000. On the commercial side Tarrant says the projects they are interested in range from $300,000 to around $2,000,000. Tarrant Construction has taken their time and used their experience to achieve this niche; they have been in business for 53 years. This is the third generation to run the family business. Mike Tarrant’s brother, Dave, is the President and their brother Steve is the Vice President.